Robert is an Arkansas native and cannabis industry IT expert. 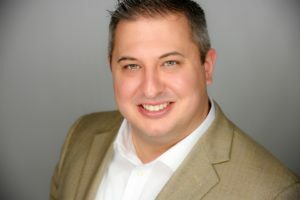 He graduated from the University of Arkansas Walton School of Business with a degree in Entrepreneurship and Information Systems, also receiving a graduate certificate in SAP Enterprise Resource Planning. After graduating, he founded RockIT City Solutions, an IT services & consulting firm, specializing in payment processing and tablet point of sale systems for restaurants and retail stores, as well as networking, and security services. Robert is licensed with the Payment Card Industry Security Standards Council as a Qualified Integrator & Reseller. After the passing of Colorado Amendment 64 his business pivoted, offering IT consulting services to the growing cannabis industry in CO. Robert holds CO’s Marijuana Enforcement Division’s Occupational Support License to legally work with cannabis manufacturers and retailers. He has worked with medical marijuana point-of-sale providers as well as advised dispensary operators and cannabis cultivators to help streamline their IT practices. While working in Colorado, Robert completed training in METRC, the first all-regulatory, seed-to-sale solution for cannabis. Over the past year, Robert has been working directly with cultivators and extractors in CO receiving hands-on training in their cultivation, production, sales, security, and compliance procedures in preparation for the launch of the medical cannabis program in Arkansas. Adam is the Vice President of the Arkansas Cannabis Industry Association and a risk consultant for INSURICA/Risk Services of Arkansas. He was raised in Little Rock, and was active duty Army for four years with an eighteen month combat deployment to Afghanistan. In the Army, he worked as a combat engineer and conducted over 400 combat missions while receiving two Combat Action Badges and multiple other awards. His military background drives his advocacy of veteran affairs, specifically with regards to medical cannabis treatment. After leaving the military, Adam became a hand-selected understudy to local auto dealer titan Frank Fletcher, who himself was mentored by Sam Walton. Fletcher was instrumental in molding Adam’s understanding of business and people. Today, Adam is dedicated to bringing a high moral code to the medical cannabis industry and educating professionals on how they can impact the industry. 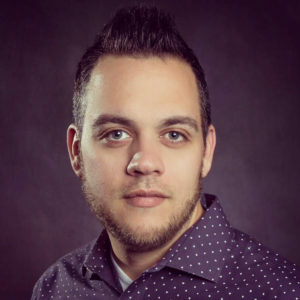 Adam is the Treasurer of the Arkansas Cannabis Industry Association and a business consultant with more than 10 years of experience consulting in the manufacturing, risk management, employee benefits and financial services industries. 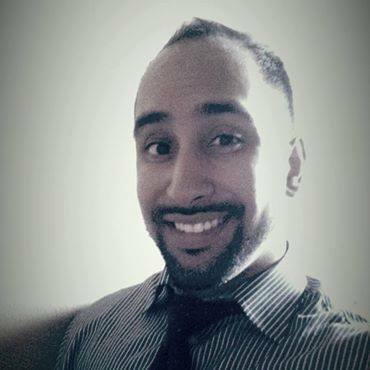 He has a Bachelors in Banking & Finance from Mississippi State University with a concentration in Corporate Finance. As a resident of Central Arkansas for the last 3 years, Adam developed a passion for the Medical Cannabis industry after losing a family member to opioid addiction. Adam is focused on bringing his experience from other industries to help the Cannabis Industry thrive in Arkansas. Dr. Brandon Thornton is the Co-Owner & CEO of Steep Hill Arkansas, a leading cannabis science and technology company with extensive expertise in lab testing, remote testing, genetics, and research. 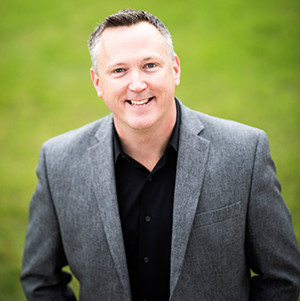 He previously served as the Vice President of Custom Pharmacy Solutions in Birmingham, AL and as the Director of Pharmacy Operations for CHD Meridian Healthcare in Nashville, TN. He first became intrigued by the medical applications of cannabis while working in the FDA’s MedWatch program in Rockville, MD. When medical cannabis was approved by Arkansas voters, he wanted to get involved and believed that quality and potency testing is the best way to keep patients safe. He earned his Doctor of Pharmacy degree from McWhorter School of Pharmacy at Samford University and is licensed to practice pharmacy in seven states including Arkansas. He is a member of the Society of Cannabis Clinicians and has completed detailed cannabis training through “The Medical Cannabis Institute” (TCMI) program. Brandon resides in Little Rock, Arkansas. Corey Hunt has been at the forefront of the medical cannabis industry as a patient advocate and educator for nearly five years. He first became aware of the potential for medical cannabis after a loved one was diagnosed with cancer in 2013. He began learning as much as he could about medical cannabis and soon afterward, created an online community to share his knowledge with others, “Illegally Healed.” Today, Illegally Healed’s articles, videos and social media reach millions every month. With 400,000+ members– including patients, advocates, researchers, and medical professionals, the Illegally Healed community has become a force for increasing medical research, educating patients about responsible medical cannabis use, and advocating for sensible reform of cannabis policies at both the state and federal level. Corey is a highly sought-after speaker within the cannabis community and has given public talks about social media advocacy, education, and medical cannabis legislation. In 2016, he was an instrumental figure in the successful Arkansas medical cannabis ballot issue, organizing and participating in petition signature drives. In 2017, Corey became a member of the Board of Directors for the Arkansas Cannabis Industry Association (ACIA) and the Drug Policy Education Group (DPEG). Prior to his involvement in the medical cannabis field, Corey gained over ten years of experience in retail and wholesale sales operations as well as mobile phone service and repair. He also served as project manager and developer for large-scale technology projects involving secure customer data and millions of dollars in online transactions. For over eight years, Corey helped lead a team of developers in the creation of a cloud-based point-of-sale solution for the mobile phone repair industry that is still in use today. Kyle Felling is an inorganic/analytical chemist with extensive industrial and academic laboratory experience. He brings expertise in gas chromatography, liquid chromatography, mass spectrometric methods, spectrophotometric, as well as many other chemical/physical analytical techniques. He also has extensive experience in project and business management. In addition to forming F.A.S.T. 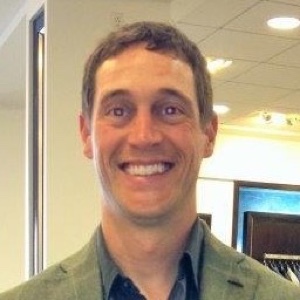 Laboratories, Kyle has served as the environmental laboratory manager for a leading energy company for 7 years. Earlier, he was a professor at the South Dakota School of Mines for 3 years and at the University of Central Arkansas for 5 years, where he ran successful research laboratories in addition to his teaching responsibilities. Prior to these professional stints, he also served a postdoctoral research fellowship at the University of Alabama. In these roles, Kyle has been involved in research involving new material/product development, technical services, quality assurance/control, and analytical method development and validation. 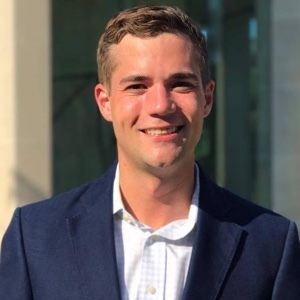 Kyle has published a number of research papers and received research funding in the areas of inorganic/analytical chemistry focusing in areas of fluorine chemistry, analytical separations, and the energy industry. He is a member of the Society of Petroleum Engineers and the American Chemical Society. 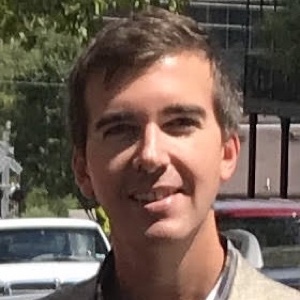 Kyle holds a Doctorate of Philosophy in inorganic chemistry from the University of Texas at Austin and a Bachelor of Arts in Chemistry from Hendrix College. Robbin Rahman is a member of the board of the Arkansas Cannabis Industry Association and is an attorney with Barber Law Firm, PLLC, a general practice law firm based in Little Rock, Arkansas. Robbin has over 17 years of experience as a corporate lawyer helping businesses solve critical financial, operational and legal problems. Robbin has been engaged in a broad range of business-related matters, including commercial transactions, general corporate law, corporate bankruptcy matters, secured transactions, foreclosures and business litigation. Over the course of his career, Robbin has been involved in some of the largest, most complex restructuring cases in the country, including the bankruptcy case of one of the “big three” automotive manufacturers, a multi-billion dollar Houston-based oil and gas company, a well-known airline and one of America’s oldest steel manufacturers. 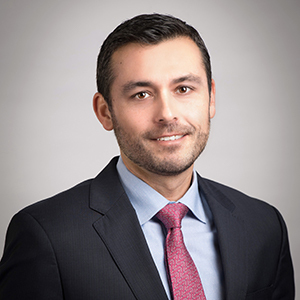 In addition, Robbin has acted as counsel to a wide-variety of clients, including local, privately-held businesses as well as large, national corporations, investment banks, trustees and other business organizations. Robbin has regularly appeared on behalf of his clients in federal and state courts in numerous jurisdictions across the country, including New York, Delaware, Georgia, Florida, Illinois, Texas and California and has significant appellate court experience, including multiple appeals to the 11th Circuit Court of Appeals. Eric Ryan was born and raised in Texas, but has been an Arkansas resident since 1994. 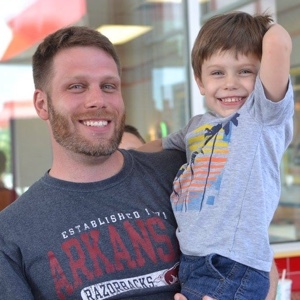 After graduating high school from Alma, AR he went on to earn an HVAC certification and later a bachelor’s degree in Psychology from the University of Arkansas – Fort Smith. Eric and his family currently reside in Van Buren, Arkansas, in a home he built with his grandfather and best friend. After many years in the hospitality industry, Eric earned a position with the largest liquor distributor in the state where he stayed for several years, gaining a firm understanding of ABC laws, sales and distribution.. With an extensive amount of experience in customer service, sales, and the HVAC trade, Eric decided to start his own HVAC business in 2016. Eric’s passion for cannabis advocacy comes from a strong exposure to addiction growing up. He decided to become involved when he realized the potential for cannabis as an exit drug from opioids and saw the dangers posed by the cannabis black market to Arkansas’ youth. Eric understands the financial struggles that come with living in the lower-middle class, and believes cannabis should be affordable for the common citizen. As a member of the Board of Directors for the ACIA, Eric helps organize our many workshops, conferences, and other public events. Dr. Melissa Taliaferro M.D. has been in the practice of medicine in rural Arkansas for more than 30 years as a solo practitioner and owner of Leslie Medical Center located in Leslie, Arkansas. Her practice focuses on areas of complementary and alternative medicine in a primary care setting and she has been at the forefront of introducing alternative therapies into the practice of medicine throughout her career. Dr. Taliaferro has been a member of the American Association of Physicians and Surgeons, the American Preventive Medical Association, the American Board of Clinical Metal Toxicology, the International College of Integrative Medicine (ICIM), the American Academy of Anti-Aging Medicine (A4M), and the American College for Advancement in Medicine (ACAM) and its Executive Board of Directors. She also was appointed to the founding Board of Trustees of Capital University of Integrative Medicine in Washington, D.C. (1995-1997). She also was the founding chairman of the Institutional Review Board (I.R.B.) for ACAM. This experience now enables her to aid in implementing and bringing the Observational Research Registry for Medical Cannabis to Arkansas. More recently, Dr. Taliaferro has become a member of Doctors for Cannabis Regulation and The Society of Cannabis Clinicians, a provider of accredited educational courses for physicians in cannabis education. Jason Martin is the CEO of Natural State of Kind and Tree of Life Seeds. He is an Arkansas native who grew up in Cabot before relocating to Little Rock. Jason is a tenacious businessman that has more than two decades of experience in entrepreneurship and corporate/franchising development. Since 2012, Jason has successfully started multiple companies operating in legal cannabis. He is a member of the National Cannabis Industry Association, a Board Member of the Arkansas Cannabis Industry Association and is recognized as a cannabis industry expert. Among his achievements are certifications as a Master Grower, a Safety & Regulations specialist and a Horticulture Specialist. Amethyst Curran grew up in Southern California, but fell in love with Arkansas after a summer visit and moved there after high school. She was trained in kinesiology and sports medicine and worked in Arizona for a time at a neurological physical therapy rehab clinic. However, after years in the desert, Amethyst missed her adopted “home,” and she moved to Northwest Arkansas to begin work as a realtor. Her special training in a variety of areas make her a valuable asset to the cannabis industry. 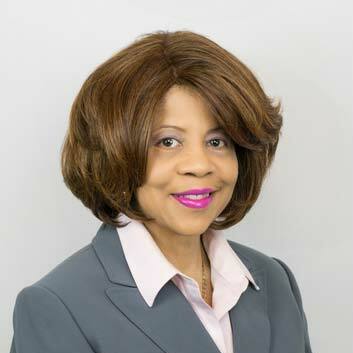 Loretta Lever is a renowned business leader and community advocate in Central Arkansas. She propelled KYFX, Little Rock from a local start-up to a Top Ten FM radio station and was awarded the “National Minority Advocate of the Year” at the White House in 1991 by the U.S. Small Business Administration. Loretta has been recognized by the Arkansas State Legislature and featured in a number of publications, including the Wall Street Journal, World Business Review, the Arkansas Democrat-Gazette, Arkansas Business, Little Rock In View, and Dun and Bradstreet Magazine. In 2008, she was honored by Global Vision with the “Mother of the Year Award” for her work with her son, Theodis, in implementing a scholarship program in Burkina Faso, Africa. In addition, Lever has served as a board member for the Arkansas Women Leadership Forum and the Heart of Arkansas United. She also held an eight-year appointment by Governor Huckabee as a commissioner for the State of Arkansas Parks and Tourism Commission. She has worked in advertising since the launch of her promotional apparel company, Choice Promotions, in 2009. Loretta supports greater access to viable holistic medicine and is excited to get involved with a growing industry from its inception. Lever says she is committed to “building coalitions of support” in cannabis policy reform and her organizational experience will be an asset to the ACIA and its mission to educate patients, health care professionals, legislators, and other industry advocates. Rodney Jackson is a proud Arkansan. He graduated from the University of Central Arkansas in 2006 with a Bachelor’s Degree in Business Administration. Rodney works for Progressive Technologies as a professional in the Security/Cabling Industry in Arkansas and surrounding states. Rodney Jackson specializes in Security Cameras, Access Control, Intrusion/Burg Alarms, Cabling and Fiber Optics. He and his colleagues were asked to give their professional and industry expertise at an ACIA Security Seminar, where they gave their valuable input on suggested equipment and security methods for various cannabis industry facilities. Technology is always changing and improving, and Rodney wants to make sure the cannabis industry in Arkansas is at the forefront of those technological advances, especially when it comes to protecting their people, products, and methods. Storm Nolan is a Fort Smith native. He graduated from the Cornell University’s Hotel School, and holds a Masters of Business Administration from Columbia University. He is a founding partner and current CEO of CSK Hotels. CSK is an Arkansas real estate investment firm that, since its inception in 2002, has developed, owned, and operated fifteen hotels in Arkansas and several other states. Mr. Nolan is responsible for leading the company into hotel development, and he oversees all day-to-day operations. Throughout his career at CSK, Mr. Nolan has been responsible for developing business and financial plans for the company’s many investments. CSK currently manages over 600,000 square feet of commercial space and employs over 200 people. Mr. Nolan has operated businesses within regulated industries and currently holds an Arkansas Alcoholic Beverage Control (ABC) license and his company holds two others. He has overseen the development of over $100 million in real estate projects and the various management responsibilities that these projects have required. Mr. Nolan is also the founder of CanvasHQ, a successful online custom artwork company with eleven full-time employees. 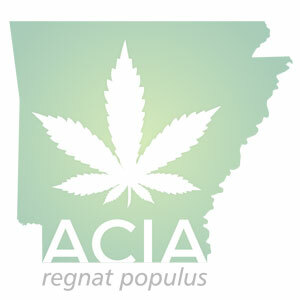 Mr. Nolan is the Founder of the Arkansas Cannabis Industry Association (ACIA) and current President. 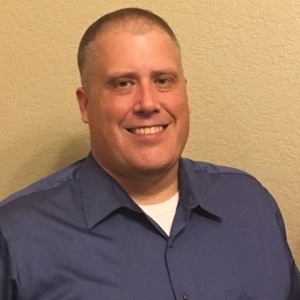 He is a Board Member and Vice President of the Sebastian County Humane Society and past Board Member of the Leadership Fort Smith Alumni Association where he also served as Treasurer. 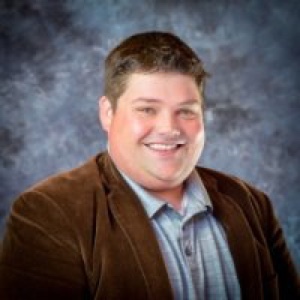 In 2009 Mr. Nolan was recognized by the Northwest Arkansas Business Journal as part of its Fast 15 cohort, and he is a member of the inaugural class of Leadership Arkansas. Adeeb Khaleel is a founding member of Southern Remedy. A Chicago transplant who has adopted Arkansas as his home, Adeeb is a technologist and a serial entrepreneur with a passion for mental health advocacy, healthcare management and hospitality. Since 2013, Adeeb has been actively managing the business operations for a family-owned Neurology practice and as a limited partner in multiple commercial real estate ventures. He is a member of MGMA, AAHOA, Little Rock Chamber of Commerce and a Board Member of the Arkansas Cannabis Industry Association. Adeeb loves to serve others and find solutions to enhance the access of the proper medical access to cannabis and patient resources for people with various neurological conditions.